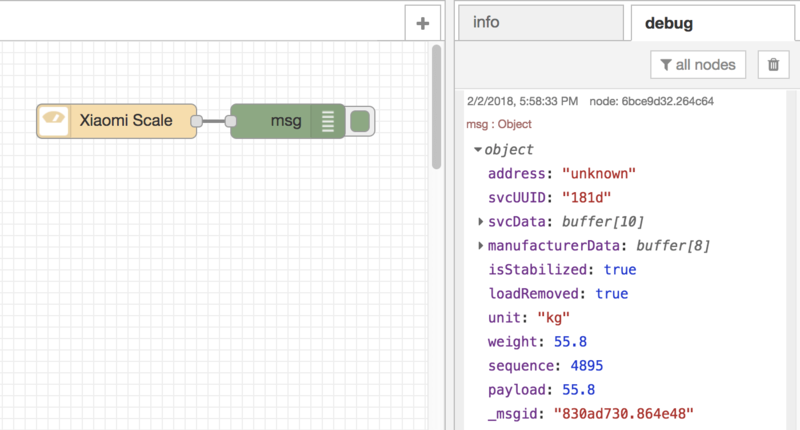 This is a NodeRed node for receive data from XiaoMi Scale without. Your NodeRed host will need to have BLE capability for this node to work. Tested on Mac OS & Raspberry Pi 3. Change your working directory to your node red installation. Usually it's in ~/.node-red. Do I need to pair my device with XiaoMi Scale? No. However your NodeRed host will need to have BLE hardware capability for this node to work. Tested on Mac OS devices & Raspberry Pi 3. I have some suggestions, how do I get in touch? How do I control my other (non-smart) devices at home with NodeRED? Check out RMPlugin app developed by us. Here's an intro video for the hardware.